Sen. Susan Collins, R-Maine, center, who defected from the GOP majority, arrives at the Senate chamber on Capitol Hill in Washington Tuesday as the Senate voted for Education Secretary-designate Betsy DeVos. Maine's two U.S. senators were united today in opposing the confirmation of Betsy DeVos, President Trump's nominee for secretary of education. The billionaire charter school advocate barely squeaked through the U.S. Senate, winning confirmation only after Vice President Mike Pence cast an historic vote to break a 50-50 tie. But Collins played a pivotal role in the process, casting a deciding vote late last month in the Senate's Health, Education, Labor and Pensions Committee that allowed DeVos' nomination to proceed to the full Senate. "I believe that presidents are entitled to considerable deference in the selection of cabinet members, regardless of which political party is in power, and that each and every senator should have the right to cast his or her vote on nominees for the cabinet," Collins said. Collins later announced her opposition to DeVos. 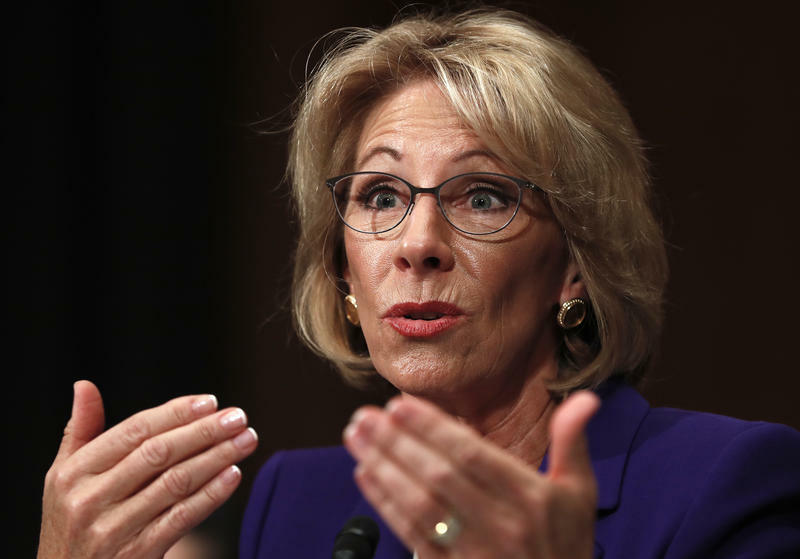 “I am concerned that Mrs. DeVos’ lack of experience with public schools will make it difficult for her to fully understand, identify and assist with those challenges, particularly for our rural schools in states like Maine,” she said after DeVos' confirmation hearing. Collins also said she was concerned that DeVos did not seem to understand the importance of the landmark 1975 IDEA act, the law requiring that students with disabilities get an appropriate public school education. Maine's other senator, independent Angus King, says he voted against confirming DeVos after careful consideration. "Last month I concluded that I could not support Ms. DeVos because I was concerned that she wouldn’t be a strong advocate for public education, that she lacked the necessary knowledge to lead the Department, and indeed, that she was hostile to the fundamental mission of the Department," King says in a statement issued moments after the Senate's confirmation vote. King and Vermont Sen. Bernie Sanders, both independents, voted against confirming DeVos, as did every Senate Democrat. AUGUSTA, Maine - Maine U.S. Sen. Susan Collins, a Republican, has not yet taken a firm position on the nomination of Betsy DeVos to be education secretary. 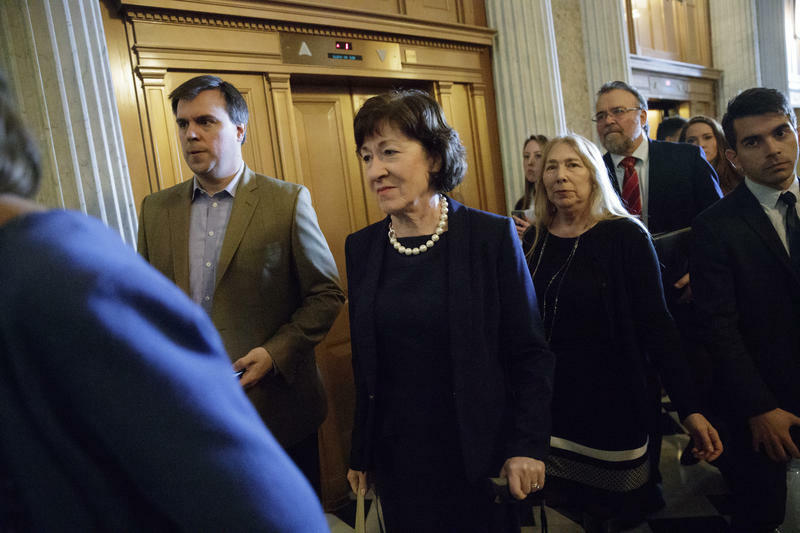 But during a meeting of the Senate's Health, Education, Labor and Pensions Committee Tuesday morning, Collins agreed to allow DeVos's nomination to go to the full Senate for a vote. Before that, though, Collins - and fellow Republican Sen. Lisa Murkowski, of Alaska, expressed reservations about the nominee's testimony. AUGUSTA, Maine — Independent U.S. Sen. Angus King of Maine will vote against President Donald Trump’s nominee for education secretary because of her views in favor of school choice. 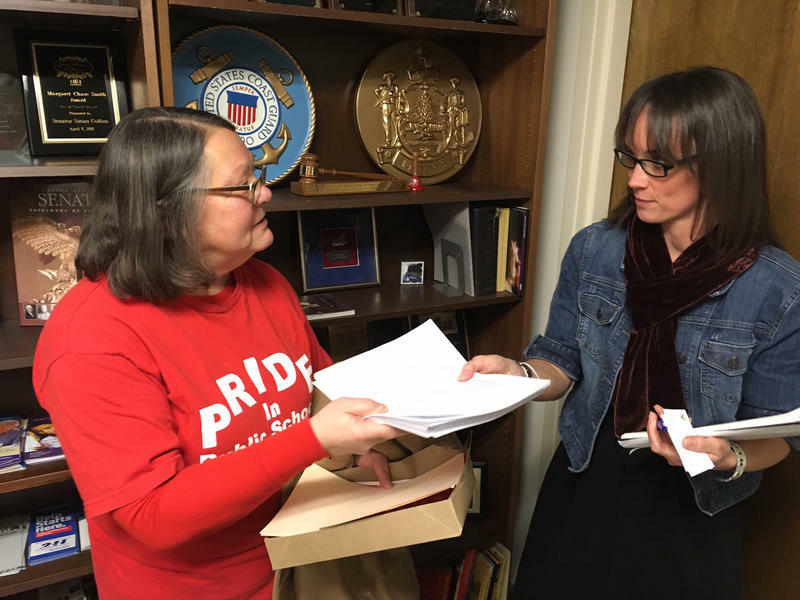 The Maine Education Association and others opposed to President Trump’s choice for education secretary delivered about 12,000 signatures to Republican U.S. Sen. Susan Collins’ Portland office Monday. Opponents of Betsy DeVos say she’ll destroy public schools in favor of charter schools. But some elected officials in Maine think DeVos will improve education by allowing more choice.